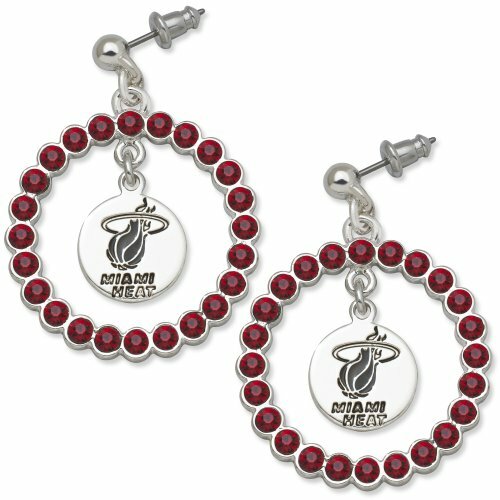 There is no mistaking your support and pride for your team when you wear these LogoArt Spirit earrings! A silver-tone charm is deeply engraved with the logo of your favorite team and strikingly enameled in black to stand out. A circle surrounds the charm which is studded with your team's color in crystals! Stand out wearing these festive earrings and stand up for your favorite team!